There are many factors which affect the first impression we give whether as individuals, families or as companies. One factor which is significant in determining that first impression is that of architectural features. We are visual creatures. That is very much an undeniable fact. Were this not the case, we would all most likely be living and working in terribly functional but utterly tasteless concrete and steel boxes. Thankfully however, we have modelled the world around us according to our individual and collective tastes. The consequence of this is that the world in which we work rest and play is occupied by buildings which vary considerably in their architectural features. But, to repeat my earlier point, we are visual creatures and one very significant aspect of that is that we form opinions on people, families and companies based on a number of factors, not least of which involves our first impressions of the buildings which they occupy and by extension of the architectural features of those buildings? So chosing the right features to build in to your design will have a very great effect on all who use the building. 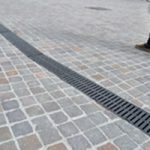 Through our sister company, In Granite Recon, we also provide a range of these architectural features in reconstituted stone. This is an ideal way to add an impactful touch of class to your property with the ability to cast reconstituted granite to your custom specifications if required. 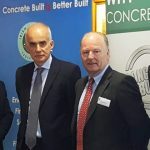 In fact, we will happily discuss any requirements for bespoke items, including precast concrete components and will assist you in their design and specification. 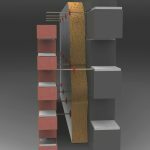 Contact our team at Killeshal to see how Architectural Features from Killeshal can provide structural support to suit your project specifications. Click here for our Architectural Features page.